The Tornado BD 20/11 is a smaller-sized walk behind auto scrubber that has a rotary style head (a.k.a. disc), and is great for moderately sized cleaning jobs. A tough polyethylene roto-molded body, stainless steel battery tray, and quality manufacturing will give you years of superb performance and reliability with this machine. This scrubber is backed by an industry leading 10 year warranty on the tanks, 2 years on parts, 1 year on labor, and the batteries are pro-rated for 1 year. Tornado has been manufacturing cleaning products since 1927. Their long standing dedication to reliability and consistency has made this U.S. based manufacturer a trusted name in the cleaning industry. Tornado manufactures each machine with ease of use at the forefront of every decision in the engineering process. This is clearly apparent with the low-profile line of sight (can more easily see the floor ahead of you), as well as the user-friendly ergonomic handle and easy-to-read control panel. Additional features include a quick-change parabolic squeegee assembly and a wide-open clam-shell design for fast and easy access to tanks, batteries and motors. 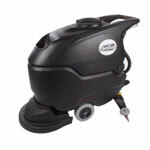 This easy to use BD 20/11 auto scrubber will help your cleaning team do their job more efficiently and thoroughly. However, if this unit is not exactly what you're looking for, don't worry, we've still got you covered. We have a full line walk behind floor scrubbers to choose from. 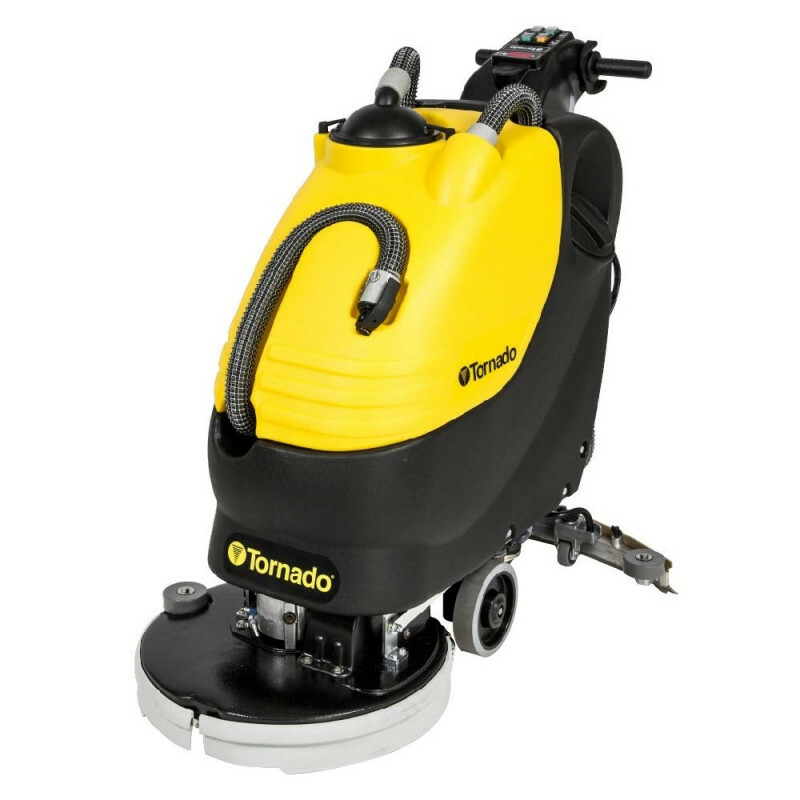 We have larger and smaller models available, as well as a full selection of Tornado auto scrubbers, if you've fallen in love with their warranty plans.